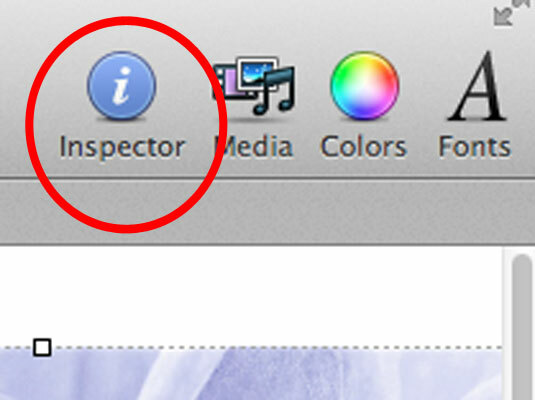 1Open the Inspector by clicking the Inspector button in the toolbar. 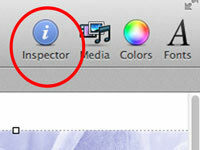 Alternatively, you can choose View→Show Inspector or press Option+Command+I. 2Click the Layout icon button to go to the Layout inspector, and then open its Layout pane. 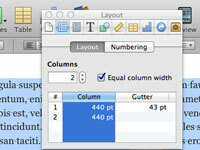 If you have multiple-column text, iBooks Author doesn’t distribute the text evenly across the columns, but instead fills each column until it runs out of text, and it then aligns the text in the partially filled column per the settings in the Inspector’s Layout pane. That’s rarely the layout effect you want, so for all practical purposes, use the alignment features only for single-column text boxes. 3Enter the number of columns you want in the Columns text field. Alternatively, you can use the stepper controls to change the number of columns. 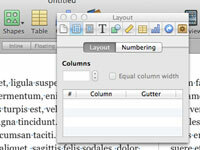 Deselect the Equal Column Width option if you want columns’ widths to differ. Double-click the value in the Column column and enter a new value to change the column width if you don’t like the default value. 4Double-click the value in the Gutter column and enter a new value if you don’t like the default value. The gutter is the space between columns. 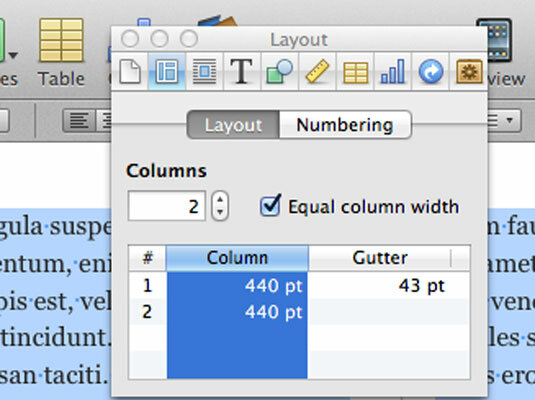 If the Equal Column Width option is selected, changing any gutter’s value changes all gutter values. If it’s deselected, you need to change each gutter’s width independently. 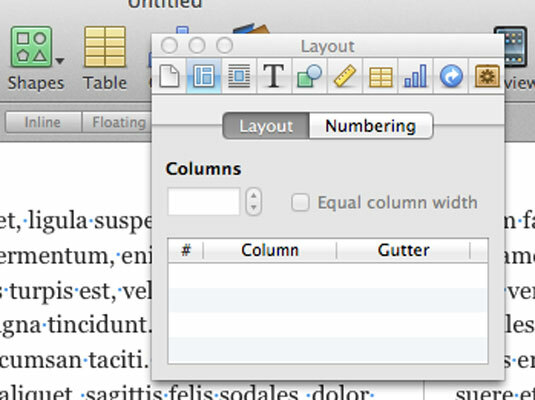 Like with column widths, iBooks Author overrides your gutter settings if they cause the columns to exceed the text box’s width.